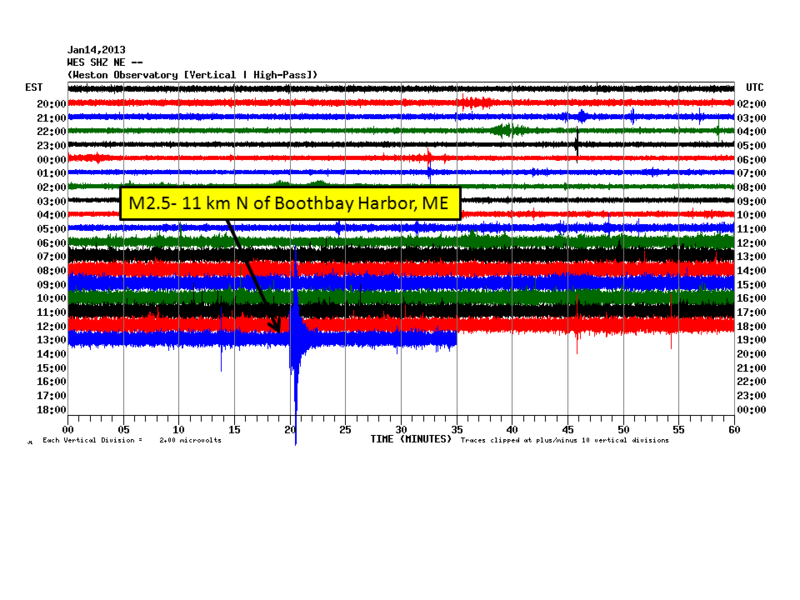 This was a very frightening event for us here in Boothbay Maine. At first we thought perhaps a house blew up on our street. Our house is built into ledge and are now wondering if any of that was involved. My husband ran to the cellar thinking maybe the back of our house blew out from propane gas line? Needless to say nothing happened except put fear in our hearts. A second rumbling came shortly thereafter and a very small one minutes later. If this was a small quake…we can’t imagine what a large one must be like. Hope to never find out. We live about 7 miles North from the actual harbor which seems to be consistent with reports of where it occurred? ?